Duncan Mackay will do anything to lift the curse from his family - even forfeit his own life. But his plans change when he encounters the woman from his dreams, literally. She is from the future, somehow has his lost sword, and can talk to the Dragon that is able to lift his family's curse. Brigid O'Neill has spent her life listening to the mythological legends from Ireland and Scotland. 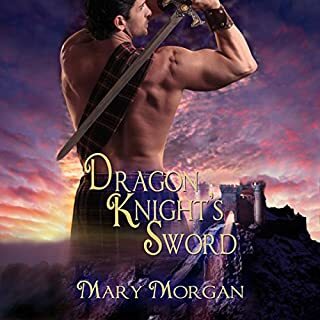 So, when an ancient sword lands at her doorstep and she starts dreaming of a rugged Highlander, she drops everything and takes on a quest that will alter everything she believes. Fenian Warrior, Conn MacRoich has traveled the Earth for thousands of years, guarding the realm between mortal and Fae. His deeds are legendary. Yet, one mistake will force him on a journey to fix a broken timeline. However, on Conn’s quest, he must face a human female who will eventually bring this ancient warrior to his knees. When Ivy O’Callaghan inherits her uncle’s estate, she never imagines there will be more secrets to unravel, including the one she hides from the world. With the help of a mysterious stranger, she learns to trust and step out of the shadows. He was a legend on the battlefield, but Aric Neville, known throughout England as the White Lion, had had his fill of intrigue and bloodshed. So he threw down his sword and walked away, to live a solitary life, cultivating a reputation as a sorcerer. But his prized tranquility was shattered when the villagers brought him a bride. Gwenyth de Auburd was a raven-haired beauty too impudent to ignore and too tempting to resist. You first met this warrior in the time travel paranormal romance series Order of the Dragon Knights, Dragon Knight's Axe, book 3. 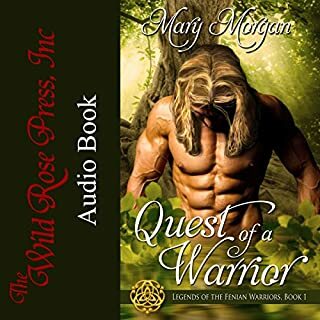 Irish warrior Desmond O'Quinlan has never surrendered his heart to any woman. He has no wish to have his soul tortured by love. 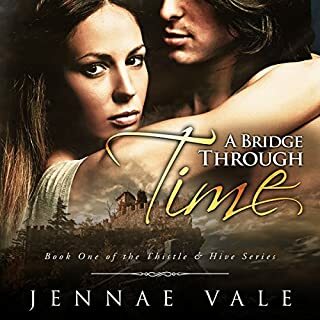 Yet the moment he locks gazes with Ailsa, his fate is destined for an adventure he never fathomed. He may have battled alongside a Dragon Knight, but his greatest challenge will come from within his own heart. 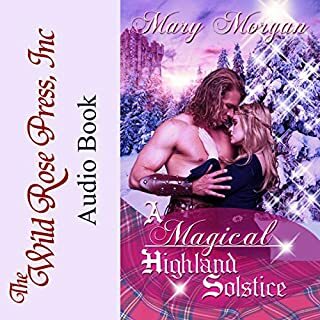 Mary Morgan once again weaves her spell and grabs your attention from start to finish. Desmond and Ailsa’s story is heartwarming and sweet. I already liked Desmond from previous stories, however he definitely gained my heart this time around. He has vowed to never fall in love and allow a woman to break his heart. Ailsa is a warrior and wants only to lead her clan at her father’s side until the day she can take over. She certainly has no room for a man in her life. However fate has a little twist for both of them. I absolutely love Mary Morgan’s stories and look forward to each one as they are always rich with multi layered plots. I will never tire of hearing about the Dragon Knights and look forward to more stories including them and their families. Thank you Ms Morgan for another compelling story! Charles Robert Fox has a lovely accent and so much potential as a narrator, however all he does in this book is read the story. There is little emotion in his voice and he does not give any of the characters a voice of their own. Once I accepted the fact that all he was going to do was read to me I just sat back and listened to this amazing story.